David was away from his residential Psychiatric Residential Treatment Facility. He was undergoing a med wash at another facility in our state. Since David is a special needs child, and was a special needs adoption to begin with, he is covered by Medicaid until he turns 18. In order to be placed in a facility, something called a certificate of need (CON) is generated periodically. Typically, 90 days. David’s latest CON is for 30 days. Because while David was away from the facility we didn’t undergo family therapy. David has a number of diagnoses, including Reactive Attachment Disorder. Because of David’s birth history and prenatal care, he has a tolerance for medications. He builds up a tolerance very quickly. Any med will only be good for about six months. We learned this through experience, and explained this to the staff at the facility where he resides. As I stated, David’s most recent CON is approved for 30 days. Because we haven’t done family therapy. yeah… the CON people want to know if we have a plan in place to move him to another facility. Don’t they still need to generate a CON for that? Yes. The CON allows for placement and bills to be paid. The nearest facility is over 400 miles from our home. How does moving a child with numerous psychiatric issues, nearly 500 miles help him? Especially when the bill is paid by the state either way? Are we upset? Yes, I would say so. We are working on finding the funding necessary to travel to two separate facilities to tour those facilities in the event that we have to place David in one of them. The first is in South Central Montana. 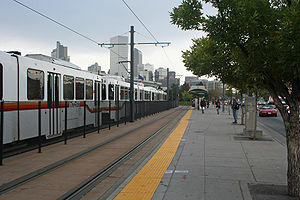 The second is in Denver, Colorado. Pingback: PRTF Update and sadness | Why Not Fathers?